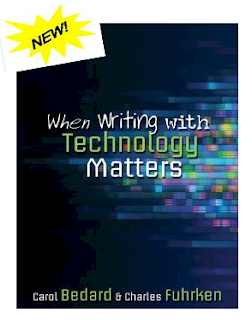 When Writing with Technology Matters shows how to take advantage of students' affinity for technology to change and improve the writing process. Includes detailed descriptions of elementary and middle school literacy projects that teachers can follow step-by-step or use as a guide when planning their own technology-based projects. The authors show teachers how to create a classroom environment that allows students to become invested in writing and provide detailed descriptions of elementary and middle school literacy projects that teachers can follow step-by-step or use as a guide when planning their own technology-based projects. This book demonstrates how to take advantage of the digital generation's affinity for technology in order to change and improve the writing process, empowering students to become better, more nuanced readers, writers, and thinkers who are well prepared for the challenges of a digital world. ". writes Stenhouse Publishers. For the past thirty-five years, Carol Bedard has worked in the field of education as a music therapist, a classroom teacher, a university professor, and an educational administrator. She is currently the director of literacy for the Houston Independent School District.